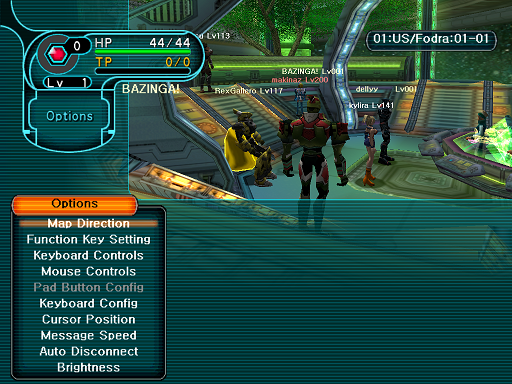 After you’ve logged on and created or selected a character, you will be presented the Ship Select screen. 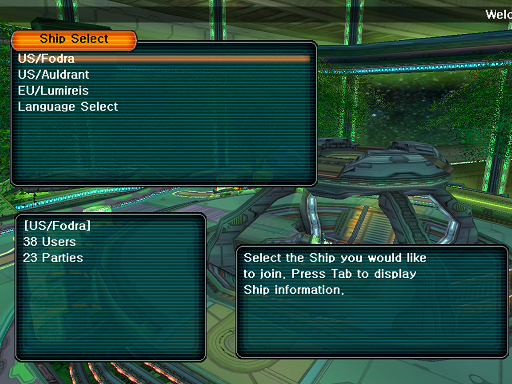 From the Ship Select screen, you can select the Ship that you’d like to join. Fodra is located in center of the United States of America, Auldrant is located on the west coast of USA, Lumireis is located in Germany, Europe. If you want a responsive game, it’s best to pick the server that is closest to you. But, Fodra should perform well for most players. You can also set your preferred language here. Making a change to your language will require you to reconnect to the server to get all the image and data files necessary to display the game completely in your language. After you’ve selected a ship, you will end up in the Lobby. 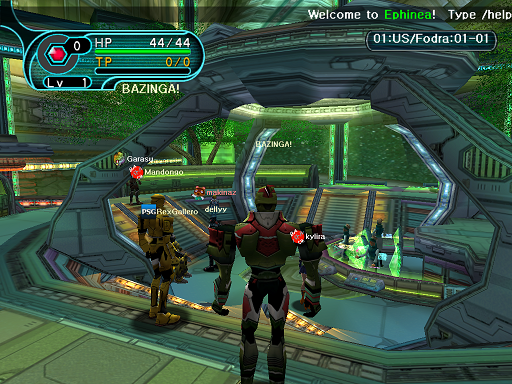 In the lobby, you can converse with other players by pressing the SPACE bar, typing a message and hitting ENTER. You can also move your character, when not chatting, by using the WASD keys. These are the default controls. 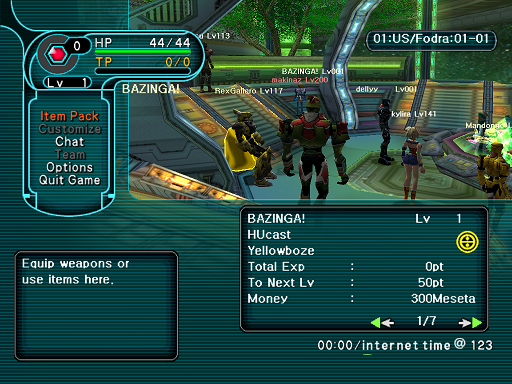 With a gamepad, it doesn’t matter if you’re chatting or not, you can always move your character. If you’d prefer to not have to press SPACE to chat while using a gamepad, press F11 on your keyboard to enter the Direct Input mode. Whenever you type a key on your keyboard, from that point forward, it will automatically go into chat mode. If you’d like to change the default controls, press F12 on your keyboard to bring up the main menu. You can select the "Options" sub-menu to find all sorts of things you can tweak to your liking. Two of them being “Keyboard Controls” and “Pad Button Config”.